In Glorious Hill, Mississippi, childhood friends Alma Winemiller and Doctor John Buchanan Jr. reunite after several years apart. Although Alma is an unassuming and upstanding member of the community and John has a rather scandalous reputation for gambling and romancing, the pair rekindle a smouldered flame and are drawn to each other almost instinctually. 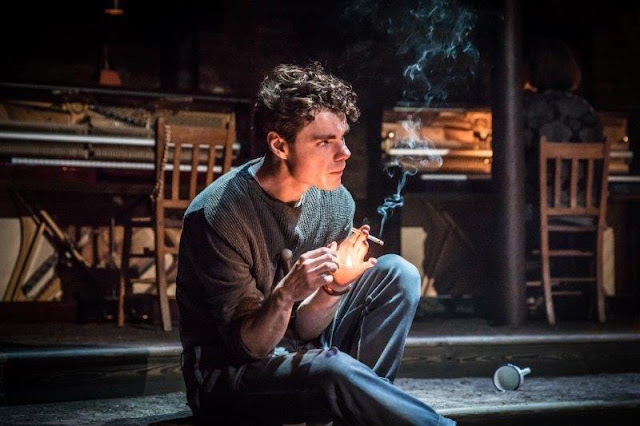 Although Summer and Smoke is a delicate and powerful drama, it'd be hard to argue that this is Tennessee Williams' best play. But that's hardly surprising considering the other dramatic juggernauts he penned. Summer and Smoke feels looser and more meandering that its siblings, but nevertheless there's still an awful lot to enjoy, especially with Rebecca Frecknall's witty and surgically precise direction to shape the piece into something more sparky and volatile than the text alone suggests. William's dialogue masterfully captures moods and moments, and Frecknall's direction shines a spotlight on those moments, flaying them before the audience's eyes. The theme of conformity and rejection of societal expectations are common to many Tennessee Williams plays, but it seldom as heavily signalled than in Summer and Smoke. John is a doctor and the son of a respected medical professional, but far from portraying his professionalism outwardly, he is louche and scruffy, with a hungry look in his eye. Matthew Needham plays his sulking rage and simmering passion to perfection, as he stalks the stage, slowly but surely peeling away Alma's ultra-refined and poised exterior. Meanwhile a revelatory performance sees Patsy Ferran disappear into Alma Winemiller entirely. From her first appearance, gasping and suffocating into a microphone centre stage, surrounded by a septet of pianos, all eyes are on her. Every severe glance, anxious inhalation and soulless smile is etched out precisely on Ferran's face as Alma tries her best to reject her urges and conform to expectations. She's constantly on edge; a product of her mother's unfortunate mental breakdown several years prior to the events of the play. Forced to grow up too soon, she's evidently afraid that her carefree youth has passed her by. She's an elastic band, squeaking and stretching as she resists her wants and desires in order to maintain control and conform to the expectations put upon her. But of course, it's only a matter of time before she snaps. 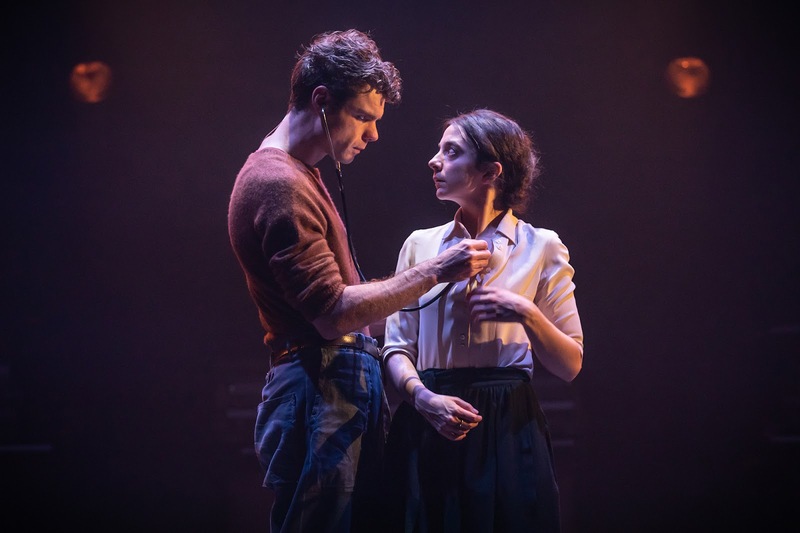 As the direction of the play becomes clearer and the ending becomes more obvious, the inevitable trajectory of Alma and John becomes almost unbearable to watch, as their ideals slowly twist inside out. It's evident from the start that they are too different to ever work as a couple, and yet it's difficult not to root for Alma's liberation and John's redemption. Tom Scutt's purposefully threadbare design has the characters confined to centre stage, for the most part, surrounded by the tinkling ivories of seven pianos. Undoubtedly a metaphor for the tattling, self-involved inhabitant of Glorious Hill, the pianos underscore much of the play with a pretty, cloying tune which fills the air like a saccharine summer haze. It's easy to see why John and Alma are forced to both extremes in terms of societal convention, when they are constantly being put on a pedestal and inspected by their neighbours and peers. The suffocating atmosphere of small-town Mississippi is conjured perfectly in this stifling, completely engrossing production. 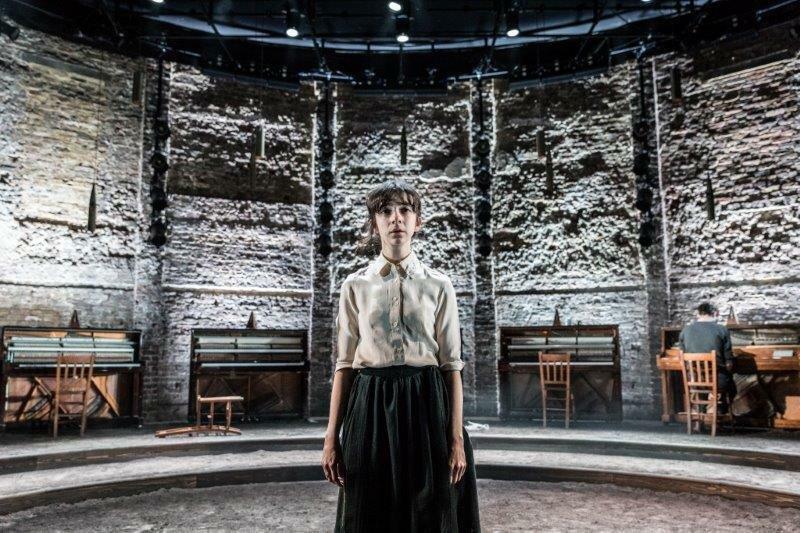 Gorgeous design, attentive direction and a pair of incredible lead performances transform this lesser performed Williams play into a glimmering gem!